The Hard drive is the largest and main data storage hardware device in a computer. It can store any data such as videos, pictures, music, documents and other files you created and downloaded. However, there are certain possible events wherein data saved on the hard drive can be lost. For example, accidentally cleaning the Recycle Bin, virus attack, improper action, partition harm, failed formatting and many more can contribute to such data loss. In this scenario you will need hard drive data recovery tools which can help you to retrieve your lost files. With regard to that, we provided some of the best software in the market today. The first tool on our list is ApowerRecover. It can help you retrieve deleted files from external hard drives, flash drives, memory cards, camcorders, digital cameras and many more data storage devices. And it works perfectly on your Windwos PC and Mac. 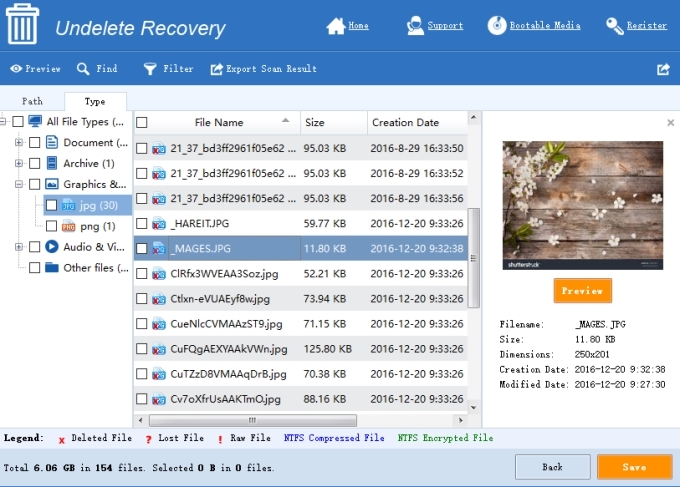 Like other hard drive data recovery tools, this tool can regain your lost files easily without any superior knowledge since it has an advanced recovering function and simple interface so that even beginner can utilize it. Furthermore, it can support numerous kinds of file formats such as JPG, PNG, TIF, GIF, BMP, PSD, CRW, AVI, MOV, MP4, FLV, WMV, MPG, RM, AIF, MP3, M4A, WMA, OGG, WAV, DOCX, PPT, XLS, PDF, ZIP, etc. So, there is no reason for you to worry about whatever kinds of file formats you want to recover. 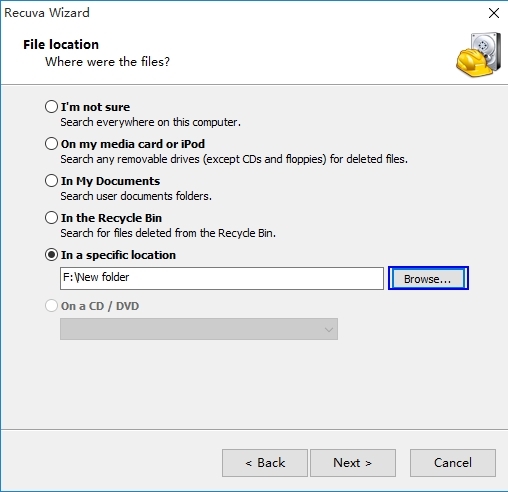 Recuva, free hard drive recovery software, can get back those deleted files not only from your computer but also from memory cards, hard drives, discs and flash drives. The recovery process is very easy. Apart from that, users have an option to scan the specific folders and drives. Conversely, unlike those paid ones, this tool does not have everything you need in a recovery program and it is not compatible with Mac. 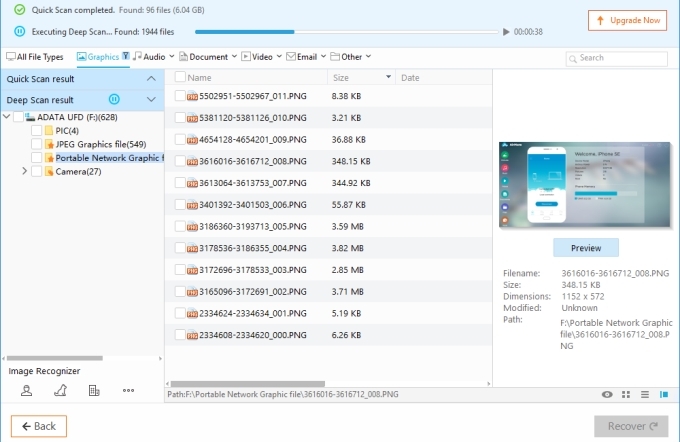 Wondershare Data Recovery is a tool which can retrieve your missing files such as videos, pictures, music, documents and others from your computer. This tool can also retrieve data from other external hard drives, and digital cameras. And it can save recovery result, which is a nice function for users. But as we tested, the preview function does not work well in this program, compared with above two hard drive data recovery tools, most of the images are said not available for preview. 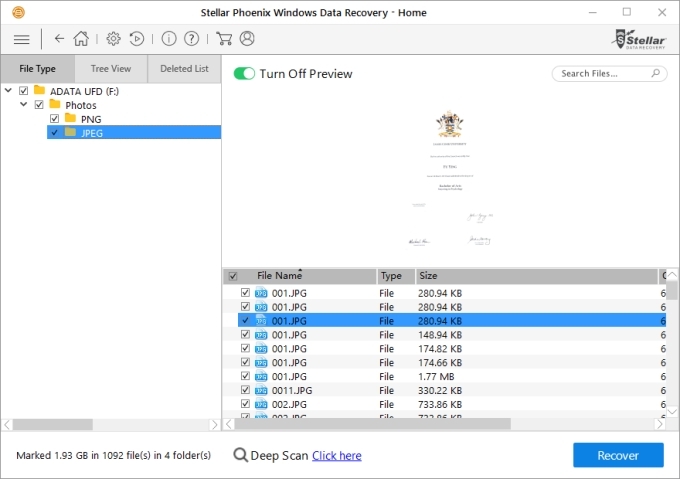 Another program is Stellar Phoenix Data Recovery. It can help you recover deleted or lost data like documents, videos, photos and other files from hard drive, SD cards, flash drives and DVD or CD. This tool is compatible with Windows 7, 8, 8.1, 10, Vista, XP, as well as Mac. Furthermore, this tool can search lost data and recover it. But it puts folder with files together, which is not very user-friendly. And the standard scanning process is longer than other hard disk recovery tools, but the deleted files Stellar find are no more than other programs do. Moreover, if you start scanning, you cannot stop the process or quit the program whenever you want. 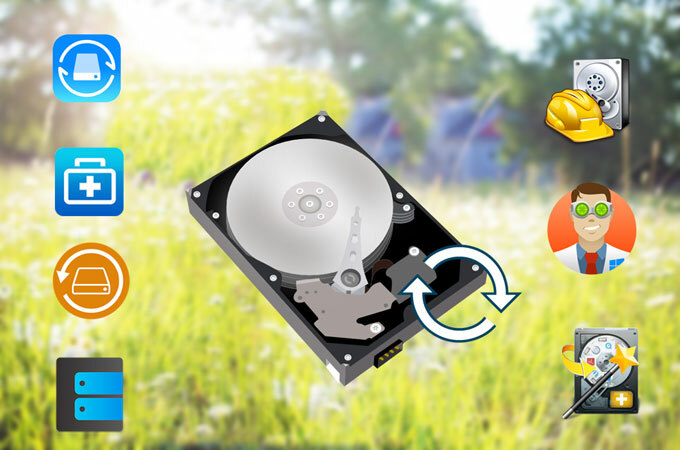 Disk Drill is a data recovery program which can work on Windows PC and Mac. This tool can retrieve data in a fast, secured and convenient way. The devices where it supports to salvage files from include computers, external devices, USB drives, memory cards and others. It has a strong ability to recover photos yet below average efficacy in retrieving music and videos. EasyUS Data Recovery Wizard, famous hard drive recovery software, is made to recover your lost data from hard drive damage, virus attack, partition loss, and other forms of unwanted actions that can be harmful to your important files saved on your computer, hard drive, flash drives and others. 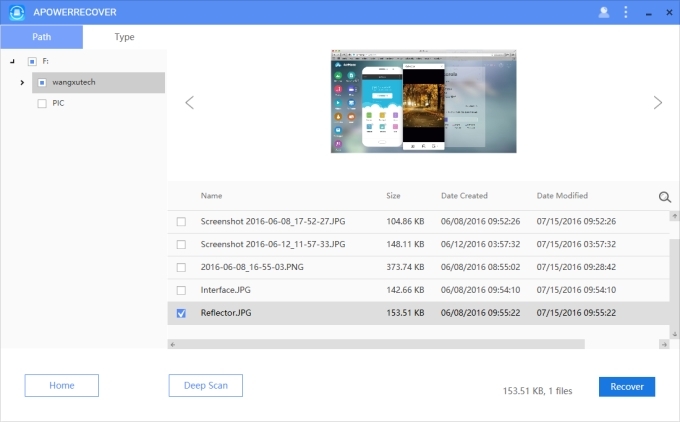 Unlike other programs which doesn’t have Deep Scan mode or ask for Deep Scan after the standard scan, this software automatically goes through Quick Scan and Deep Scan for users. But if you don’t want it to scan in deep mode, you can stop it at any time. However, this tool cannot choose the file types before scanning, which may be a little bit time-consuming. The last hard drive recovery software we have is MiniTool Power Data Recovery. It can recover lost data from hard drives, flash drives, CD and DVD disks, memory cards, etc. You cannot select what you want to search for before scanning either. But you can filter the data after the scan. And it doesn’t offer a deep scan. You can retrieve data up to 1 GB for free. However, if the data you want to restore exceeds 1 GB, you will need to pay for the service. The software we provided above will surely be able to give you a helping hand to recover lost data from hard drive. You can choose any one of them as you wish. Here we also make a brief comparison among these hard disk recovery tools, which can better help you make a decision. Others’ scanning speed is fast. EaseUS Data Recovery also costs a long time as it goes through two scanning modes. Others: Stellar cannot stop scanning at any time you want. Recuva’s interface looks too old. 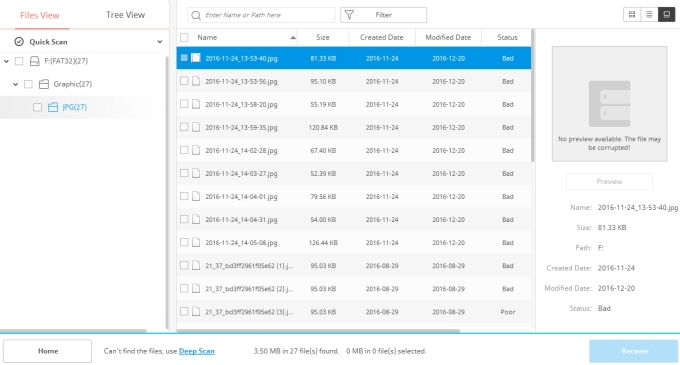 MiniTool, EaseUS and Disk Drill don’t have the option to select file types before searching. Granted, MiniTool gives marks to different types of files, but it may sometimes confuse the newbies to this field. After all the tests we took, here we highly recommend ApowerRecover and MiniTool Power Data Recovery to you, whose functions are strong and can give you nice experience while using them. Rating: 4.5 / 5 (based on 29 ratings) Thanks for your rating!